This year the annual meeting will be held in the NEMO Science museum in Amsterdam. 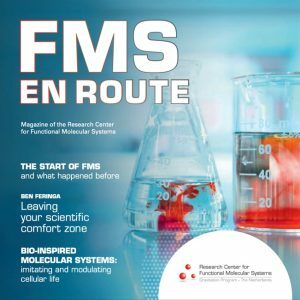 A detailed program of the FMS Annual meeting 2017 is available here. All PhD students and postdocs are invited to present a poster during the poster session. Poster boards will be available. From Amsterdam Central station, NEMO Science museum (Oosterdok 2) can be reached by a 15-minute walk. Leave the central station, take a left and follow the signs for ‘Route Oosterdok’. You can also take a bus (Bus 22 or 48) and get off at Kadijksplein. There is a maximum of 120 seats available. They are assigned on first come, first served basis. FMS faculty and FMS postdocs and PhD students are highly encouraged to attend and will have priority on the registration. Registration deadline: September 11, 2017.